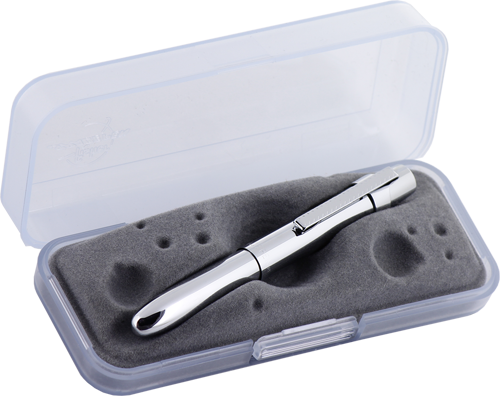 The squared-off top (cap) of the X-Mark gives it a modern, tech-look, while offering all the amenities of the classic Bullet pen design. The new Fisher X-Mark is ultimate dependability in a compact size, making it the perfect take-along pen for people who camp, climb, hike, ski, bike, fish, snowboard, hunt, kayak, and scuba dive. 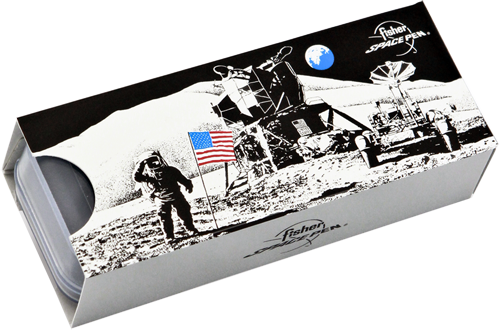 Fisher writing instruments write in temperatures from -50º to 250ºF, underwater, in zero gravity, at any angle–even upside down! That's why they're the choice of ski patrols, search and rescue teams, law enforcement agencies, armed forces, and anyone who demands writing reliability in adverse conditions. Each X-Mark is hand assembled, hand tested, and carries an unconditional lifetime guarantee.